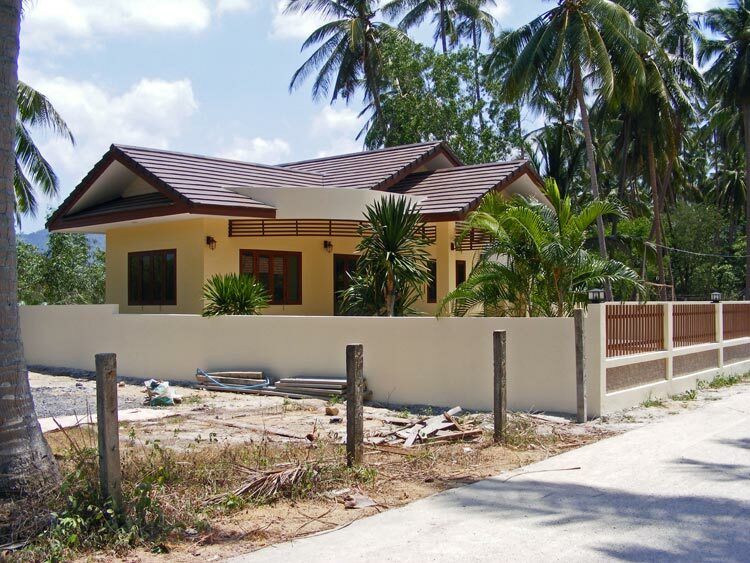 The newly built modern Thai style house is located near the Raja Ferry port in Ban Taling Ngam in the south-west of Koh Samui in a quiet housing area and has access by a public road. Small shops and restaurants are close by. The plot is walled in and has a size of 85 sqw ( ~ 340 sqm). The house itself provides 120sqm of living space. From From the gate a tiled driveway leads straight to the roofed car park to the right of the house. 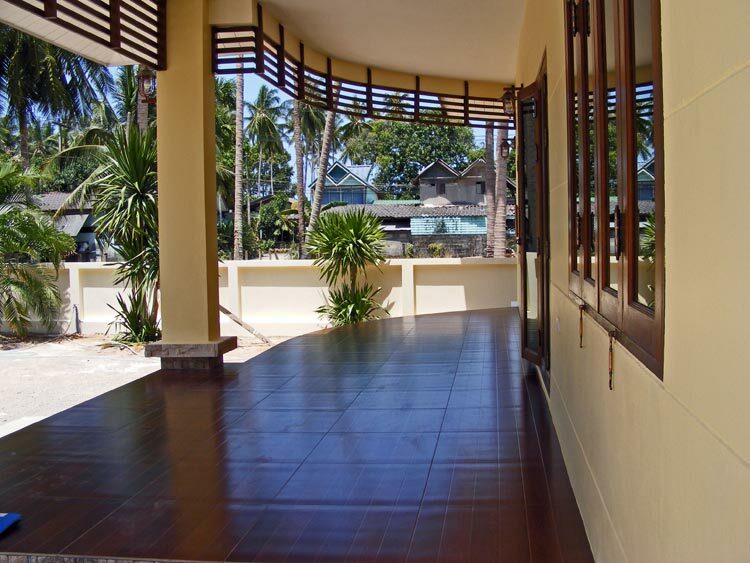 A few steps lead up to the large, tiled front terrace which is also roofed. 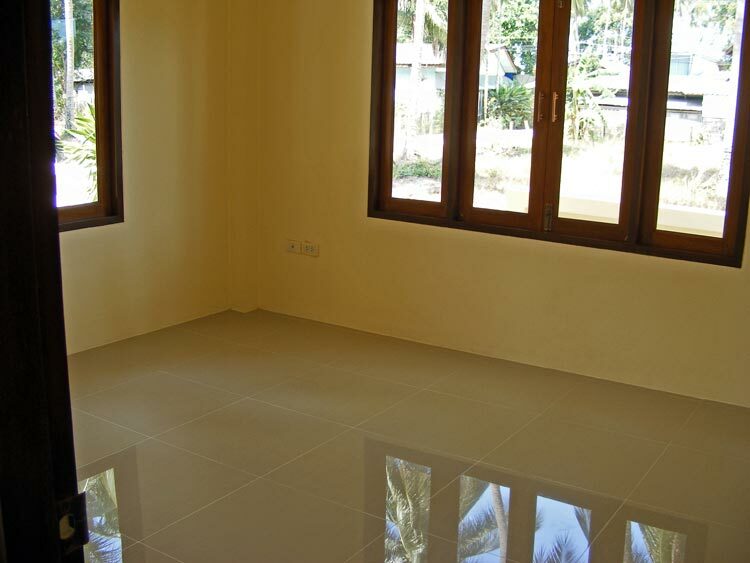 The two pillars, supporting this roof and the high quality tiles create an atmosphere of luxury. 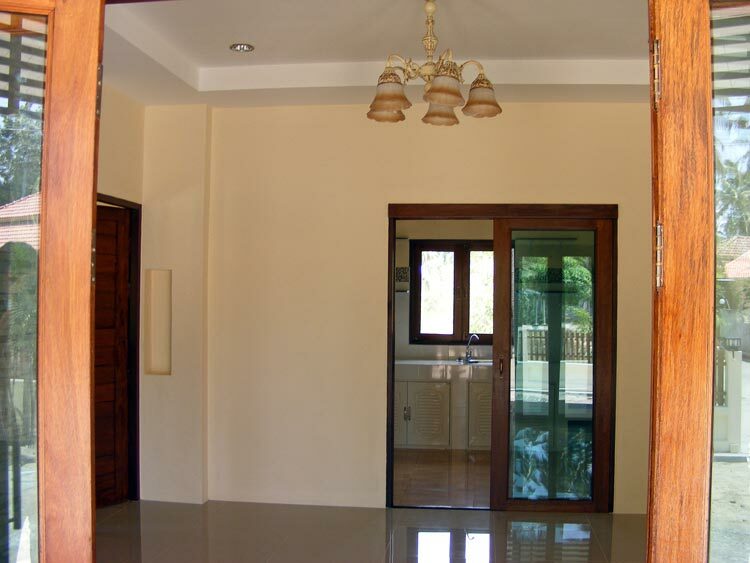 Through sliding glass doors you enter the house into the spacious living room. From here you have access to the bedroom on the left. Straight ahead, separated from the living area by a sliding glass door, is a good size kitchen. On its left side is the back door that gives access to a small, second terrace. 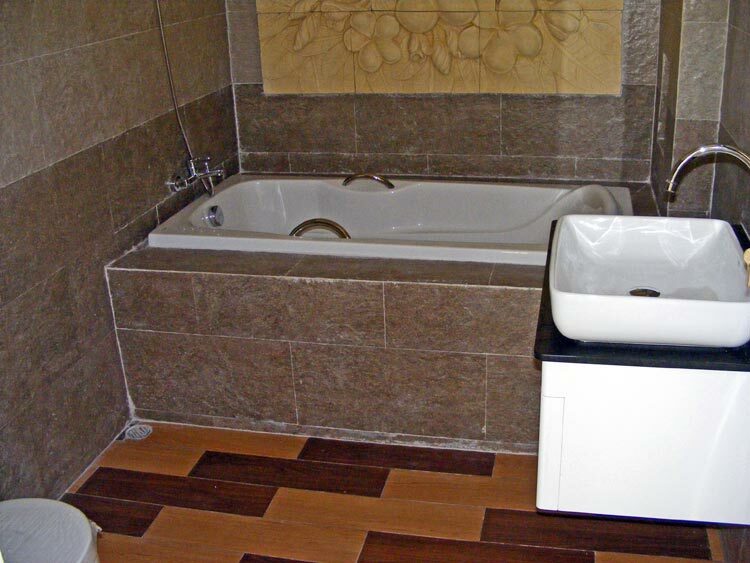 To the right is a bathroom with shower, toilet and washing basin. To the right of the living area is the second bed room with an en suite bathroom. 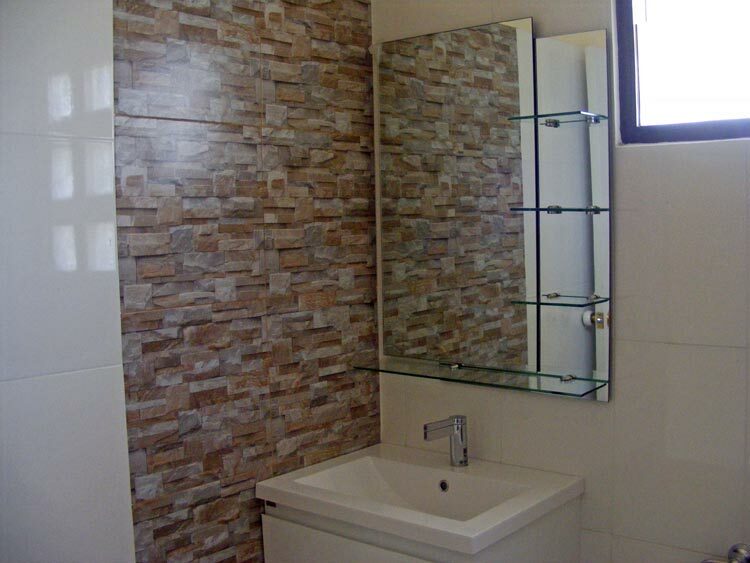 The bathroom is decorated with a stone mural relief and has a bath tub. The house is ready to move in. 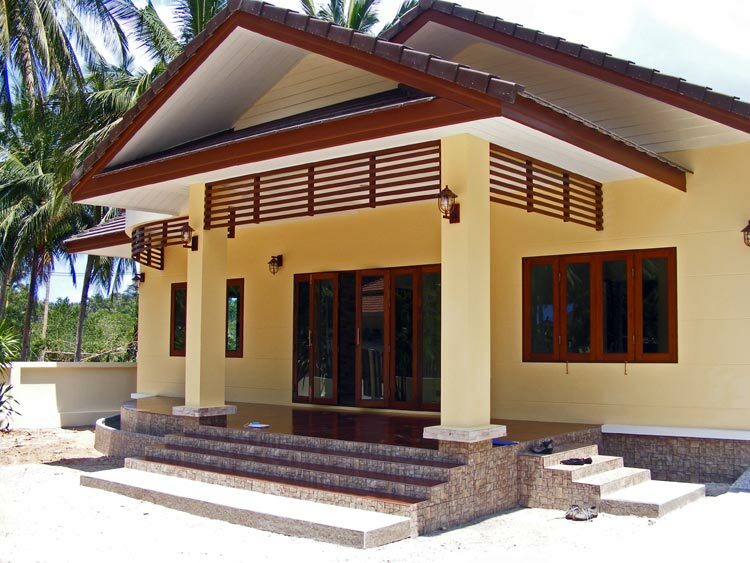 The neighboring plot of the same size can be bought for 1 million THB. No air conditioning installed, the garden can still be designed and decorated as the new owner wishes.